The magical formula of destroying lives is found in this little book. It is interesting to me that such a little book could do so much damage! Multnomah Publishers, Sisters, OR: 2000. This book has no redeeming qualities to it. It should be cast into the lake of fire with the Devil – hey, it is his work, is it not? Is that harsh? Not at all. Wilkinson has subtly infiltrated millions of homes with garbage and false teaching. It is the magic formula of the new millennium for wayward and weak Christians to pick up and use as Aladdin did his magic lamp. It deserves the Sour Puss Stamp a few times. The prayer of Jabez is found in 1 Chronicles 4:10. It is housed in the midst of the genealogical statements of the book. It seems to be out of place. But even in the midst of genealogies (those areas of the Bible most people skip) there is the prayer of this man named Jabez who calls on the name of God for 1) the blessing of an enlarged territory, 2) that God’s hand would be upon him, and 3) that God would keep him from temptation. According to the Scriptures, God granted his requests. The Scripture which Wilkinson has chosen is one of the most helpful and insightful Scriptures concerning the activity of prayer. But he has done great damage to this Scripture. In this short book there is much to disagree with. Wilkinson stresses the common “pray for the blessings” mentality that many of the more charismatic figures of Christendom stress today. I was wondering whether or not I would read “Expect a miracle” in the book and I did in more ways than one. Wilkinson misuses the idea of miracle numerous times. He has no idea what a miracle is or what miracles were used for by God through the Scriptures. For him, everything “extraordinary” seems to be a miracle. (Reference is made to miracles more than 15 times; that is once every 5 pages.) In this way alone he cheapens the message that 1 Chronicles 4 is conveying. If one were to remove all the ideas and paragraphs dealing with his faulty view of “miracles” the book would trim down to about 40 pages. Instead of demonstrating and stressing the utter dependence of men on God, and their chief end to glorify Him in all things, even if their prayers are not answered in the ways they would like, Wilkinson attempts to prove that God is willing and longing to bless His people if they would just pray this simple prayer. Rub the lamp and God, the cosmic bellhop, will attend to you ever need. God holds nothing back from those who ask, he says. He then utilizes this prayer as a “magic formula” (though he claims otherwise) in many exegetical fallacies, applying it to every situation under the sun. For instance, Wilkinson and a group of youths went down to a beach in order to do an “evangelistic magic show” and claimed Jabez’ prayer for “30 decisions [for Christ] by the end of the day.” Its this kind of nonsense that detracts from the real message of Jabez’s prayer. We are told by Wilkinson that the Christian reading his book should make a point to reread it numerous times over the next month and pray the prayer of Jabez as their own. This is the New Age mantra. In doing so God will bless the Christian, or New Ager. He does mention that we are not always going to get everything we want, as if praying for a Cadillac was God’s blessings waiting to happen. However, though we do not pray for a Cadillac, Wilkinson stresses that God is ready to bless us with Kingdom blessings (miracles, spiritual power, circumstances to enlarge our effectiveness in His kingdom etc.). Nevertheless, not even Christ demands we pray the Lord’s prayer in the exact same way he stated in. He did not say this is “what” you pray but “how” you pray. Wilkinson says what we should pray is Jabez’s prayer which is an improper hermeneutical use of the Scripture. It would be fine to draw specific principles from the prayer, and possibly to pray through certain concepts (like being kept from temptation) but to pray in a rote manner would be condemned by Christ as the “babbling” of men who do not know God. Wilkinson teaches men to babble – something Christ condemned out rightly. Wilkinson does not understand election. He says “God favors those who ask” in attempting to explain why other prayers were not singled out in the book of Chronicles as Jabez’s prayer, and why Jabez was blessed instead of others. He tells us that God’s favor rests on those people who ask Him for things. How many instances can one find in the Bible that shows God’s servants praying and not receiving? How many of those prayers show that since they prayed they were held in favor by God? Shall this apply to the prayers of the wicked as well? (And Proverbs tells us that the prayers of the wicked are an abomination to the Lord.) I’m not sure Wilkinson really understands prayer. Maybe we should pray the same prayer as Jonah, Jesus, Hezekiah, and the like. His theological methodology just does not work. Wilkinson does not subscribe to the Regulative Principle. A number of times he mentions the acceptable use of “magic shows,” “drama”, “mime”, and the like in order to perpetuate and spread the Gospel. Thus, the popularity of the book will continue to break down the Regulative Principle due to its wide influence. The book is very self-centered. 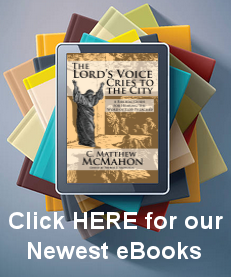 It focuses on what God can do for His people, and what God “longs” to do for his children. I am not opposed to reading about the wonderful blessings God bestows on his children, but I am opposed in the manner by which is said. For instance Wilkinson says, “It is only what you believe will happen and therefore do next that will release God’s power for you and bring about life change.” God is sovereign. Man’s responsibility here smacks of the Charismatic Arminianism which plagues today’s church. Hidden deep within the whopping 93 pages of exegetical nonsense, we do find that Wilkinson is right in that God answers prayer; but not always the way we think (though according to him we should expect God to do much with us.). We also find that God is ready, in every situation, to bless the Christian for good; this is true, but Wilkinson’s applications of this are erroneous. (Romans 8:28 gives us a right understanding of this). We find the dependence of the Christian on prayer and the will of God as an admirable aspect of the book; probably the best aspect of the book. By the end of the book, even if in pretence, the reader will desire to pray. But the prayer is not based on god’s glory, rather, it is based on what God can do for “us” – the genie in a bottle. I would recommend burning this book because it is part of the raging heresy of the day. It is good to keep up with what Christendom at large thinks is worthy, maybe on that note you should read it then burn it. I do not think this book is helpful in any way. It destroys the faith people have because god is not genie and the Bible is not a magic formula for happiness int he way Wilkinson portrays it. It would be much worth your time to read a good book on prayer, packed with meat, like Thomas Cobbet’s book Gospel Incense than a book like Wilkinson’s which can be read in less than an hour, and propagates heresy – don’t you think? There were not any worth repeating.